Joseph L. Smith, 82, of Kittanning passed away on Friday, November 16, with his family by his side. He was born on November 14, 1936 and the son of the late William (Francis Lehner) Smith. Joseph was a graduate of Kittanning High School class of 1955, a United States Air Force Veteran, and a Life member of Kittanning Eagles Club, AMA Club. Joseph was employed as Coal Miner for R & P and Barkers Bus Company for 12 years. 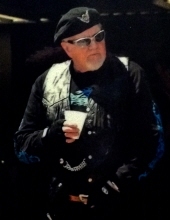 His passion was attending local clubs, riding his Trike, and spending time with his family and grandchildren. He is survived by his son, David (Rebecca) Smith of Kittanning, three daughters Terri (Bob) Smith Cribbs of Elderton; Lisa (Tim) McCullough of Kittanning; Denise (Scott) Ion of Cowansville, a brother Dwight (Janet) Smith of Smicksburg, thirteen grandchildren, and twenty five great grandchildren, with one on the way. In addition to his parents he is preceded by a grandson; Kevin Bartley, two brothers; Clair and James Smith; a sister, Billy Ann Paterson; and the mother of his children, Garnet Renfro. Family and Friends will be received on Wednesday November 21, 2018 for a visitation from 2:00 pm to 5:00 pm with a veterans service at 3:00 pm and a service at 5:00 pm at the Janette L. Gamble Funeral Home Inc. 2842 River Road Vandergrift, Pa (724) 567-7006. Online condolences may be made at Gamblefh.com. To send flowers or a remembrance gift to the family of Joseph L. Smith, please visit our Tribute Store. Family and Friends will be received on Wednesday November 21, 2018 at the Janette L. Gamble Funeral Home Inc. 2842 River Road Vandergrift, Pa (724) 567-7006. Family and Friends will be received on Wednesday November 21, 2018 for a Military Service at 3:00 pm at the Janette L. Gamble Funeral Home Inc. 2842 River Road Vandergrift, Pa (724) 567-7006. Family and Friends will be received on Wednesday November 21, 2018 for a service at 5:00 pm at the Janette L. Gamble Funeral Home Inc. 2842 River Road Vandergrift, Pa (724) 567-7006 with Pastor officiating. "Email Address" would like to share the life celebration of Joseph L. Smith. Click on the "link" to go to share a favorite memory or leave a condolence message for the family.